In honor of spring I have teamed up with a bunch of other hot mamas for a spring cleaning checklist. Click around and hopefully it will inspire you to purge, re-purpose or reorganize items in your home. I know easier said than done right? Be sure to enter the spring cleaning giveaway at the end! I am just as guilty as the next person for holding onto a pair of "skinny" jeans - and I don't mean in the fashion sense. The truth is even if one day you can fit into those skinny jeans again, you won't want too. Why? Because you're going to want to go buy all new stuff! Donate any ill fitting clothes or clothing you haven't worn in over a year. Spices are something we often buy and forget about. It's not until I pick up the onion powder that I notice it now resembles rock candy. Spices do have expirations so check yours and chuck what's out of date. I love reading books and I am not talking on my Kindle. While my bookshelves do hold some beloved favorites I find the ones I won't reread or loan out to a friend are better off at our local library. Many libraries have a donation drop box outside that you can donate to any time of day! The pet industry rakes in billions of dollars a year for good reason - we adore our family pets. If you're anything like me I purchase Finn toys all the time. Ones that he would often never play with. They have sat in a basket in our living room for years. Throw out any that are broken (ripped up, squeakers don't work) and donate any that are in good condition to a local animal shelter. Of course keep their favorites! 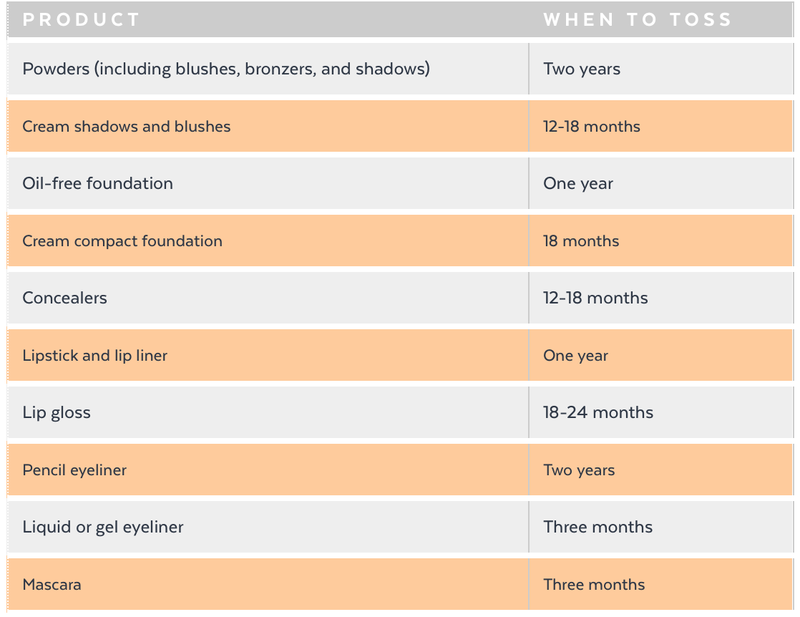 This one is in the same category as makeup (although shelf life is a little longer) here is a great guideline to follow if you should toss or keep. Once upon a time the Razor phone was the must have electronic item. If you still have it hanging out in a drawer let that bad boy go. Most Best Buy stores have free e-waste available for older model phones. Some will bring you in a little cash and some you can also donate to people in need. Toys...they are a necessary and most certainly an evil. I mean have you ever stepped onto a lego in the middle of the night? TORTURE. If you have a toy that your child no longer plays with (and you don't plan on having any more children) donate it to those less fortunate. Anything broken - books & toys alike, toss. Old towels can be cut up and made into rags (great for having in the garage) or often you can donate to your local animal shelters. They use old towels and blankets to line animal cages to make the animals more comfortable while they wait for their forever home. Ask your local shelter or vet if they are in need. This is a hard one for me, especially as a mother to a daughter. If you go through your jewelry collection more likely than not there is a lot of stuff you're not wearing. If you haven't worn it in years it's time to go - it's the best way to make room for more! Every year I decorate our tree and every year I leave the same ornaments off of it. I need to take my own advice on this one! I hate the idea of junk drawers - and yes I totally have one - but their purpose is so wasteful. Likely if it's in a junk drawer it probably doesn't belong anywhere but the trash. Get rid of the miscellany and find proper homes for the stuff you want to keep. My husband likes to have magazines in the bathroom (read: total guy) but I think they just scream clutter. Pass them along to someone who would enjoy them after your finished or recycle them when you're done. Hands in the air if you save gift bags to reuse for gifts. I do but to be honest I hardly ever give gifts in bags! I really love wrapping a gift up and adding fun ribbon so all those "It's a girl" bags really ought to be "this is trash" bags. If the return period is up toss those little trash makers. A lot of retailers have an email receipt option choose this to eliminate them all together! Many of us take home the toiletries when going on trips. Even if we take them, we often never use them. Local homeless shelters are a great place to donate these to! If you don't have a take back program available in your area the best way to dispose of expired medicine according to the FDA is to mix up the medicine in an unpalatable substance (dirt, kitty litter, coffee grounds), place into a plastic bag and dispose of it in your household trash. While it's nice to have options in the freezer for dinner oftentimes those options get...old. Literally. So if you open up the fridge and see freezer burn on anything toss it out and call your local pizza joint. I saved this for last with good reason. It's really hard for us to part with things that are irreplaceable so tread with caution here. I am not suggesting you toss out of letters and photographs but perhaps you can sift through and get rid of some old birthday cards here and there. If photographs are your thing perhaps find a way to enjoy them easier than being in a box. Create photo albums or scan and store them on your computer. Be sure to check out all the other tips and tricks! Great list and info graphic too! So funny about the Razor phone, we still have my Husbands old one and the girls play with it. It doesn't turn on, but they are so perplexed by the buttons on it, ha. I used to be such a hoarder, but I love purging now! I am totally going through this list TODAY! I am so bad when it comes to nail polish! Not even sure why I buy it since I'd much prefer to have a professional do them! And my husband cracks me up with the hotel toiletries... He's such a hoarder but actually uses them! And love the graphic!!! So glad you posted the makeup guidelines! I need to go weed some stuff out of my collection now! I LOVE THIS!!! This makes me want to go home and do some SERIOUS purging! There's so much stuff I need to get rid of! I'm almost looking forward to moving someday so I'll actually be forced to get rid of all that crap I'm hanging onto. Love the graphic too! I really need to work on a lot of these, especially jewelry! I'll be using this list with motivation (hopefully) kicks in later! This is a great round-up...if only if I could get my pack rat boyfriend to follow it! I have entire closets that need to be purged.....sad, but true. Great list! I agree it's so hard to get rid of sentimental things but seriously, how many old cards can you hold on too?! Yes! I have been on a purging binge since we moved into our new house and it's awesome. I need to do more, but struggle with certain things like sentimental items, but you have motivated me. Thanks!! I'm definitely guilty of hanging on to things a little too long. 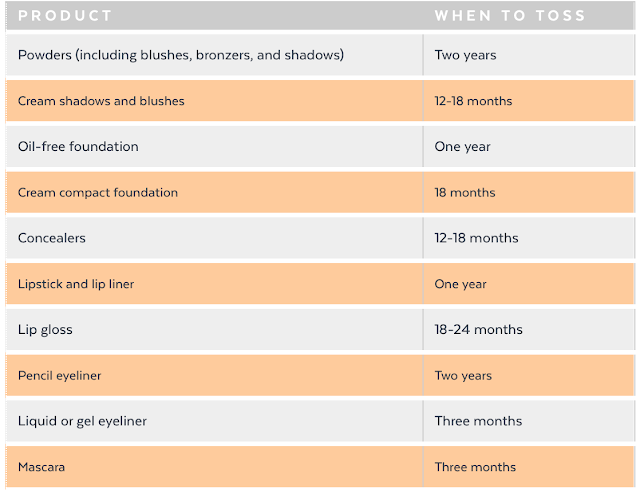 Great list/graphic, I've been working on purging more stuff/junk this year and it feels good!! Good reminder on expired stuff too. Such a great list! I really need to go through some of our stuff! I love you ideas of donating old towels to an Animal shelter and sample products to homeless shelters! They are definitely being put to good use then. Pinning this for reference! just found your blog and I'm so glad I did! being a new mom there is more...crap (for lack of a better term) piled everywhere now. 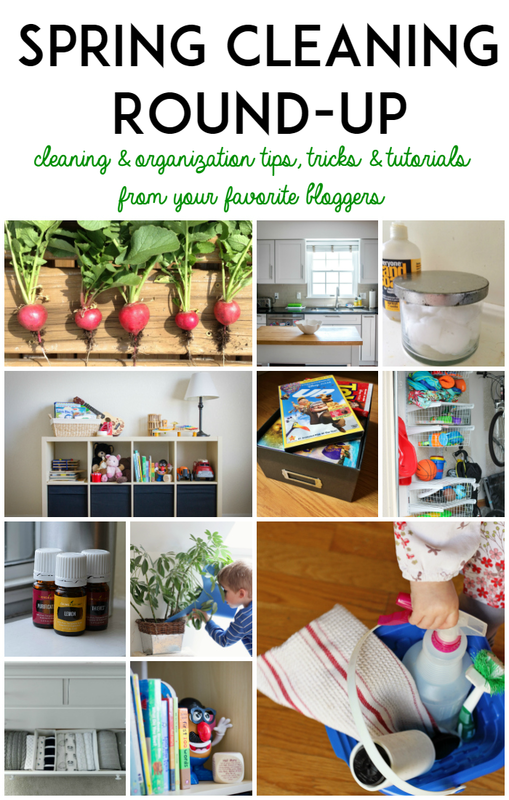 I've started a little spring cleaning, but need to do all these tips. Thanks for sharing! Excited to follow along! LOVE this list! I have been trying to go a bit more minimal and purge ALL the things, but Conor has proven to be difficult to get on board. Grr. We are very minimalist, but I was really scared when I clicked that nail polish link. Luckily, I passed!